Meditation promotes inner calm and helps to connect the mind and body. Science is still investigating the physiological and psychological effects of meditation. But some studies suggest that practicing meditation may be helpful for a variety of conditions ranging from insomnia and high blood pressure to anxiety and low back pain. You can use an app to practice meditation. We did our research and we have the right app for you. Let’s discuss it. Suitable for every user that needs help with stress issues and wants to meditate to heal his mind and soul, this meditation app which is developed on android platform is allowing every user to use helpful and simple meditation techniques with the calming sound of the ocean to relax. Using the app, every user can heal the mind and relax from stressful days and even fix depression, migraines, feeling better and staying healthy with just meditating and relaxing. This meditation tool offers simple and yet efficient way for every user to keep himself healthy, relieve stress and heal the body and mind. 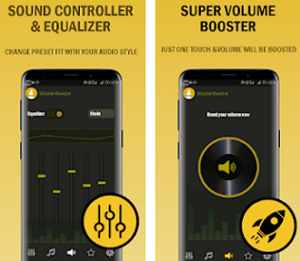 The app is offering various different sounds for relaxing like the sounds of the harbor, cost, sandy beach, sea bird and other that the user can choose to select while creating unique soundtrack from multiple sounds that will suit his condition that needs to be fixed. Using this amazing app, users can calm themselves while meditating, healing every cell of their body. 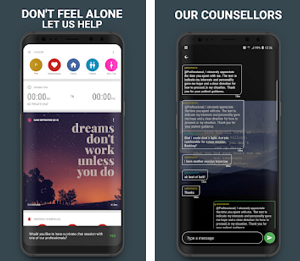 Users can choose the app for many different conditions such as stress, migraines or even to deal with their depression. The app can also be used for anger management, allowing users to keep themselves comfortable in the noisy environment. On the app, users will find spiritual unity and meditation that will help them with their issues, keeping them relaxed.